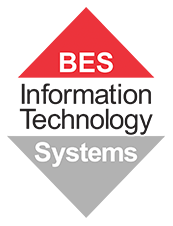 BES IT Systems is a StorageCraft partner in Brisbane, Queensland. We can offer a full range of StorageCraft products and solutions. StorageCraft provides best-in-class backup, disaster recovery, system migration and data protections for servers, desktops and laptops. StorageCraft delivers software products that reduce downtime, improve security and stability for systems and data, and lower the total cost of ownership. Converged Storage with OneXafe: StorageCraft OneXafe is a converged data platform that unifies enterprise-class data protection with scale-out storage in an easy-to-use, configurable solution. By integrating the entire storage management and data protection stack into a single data infrastructure, OneXafe simplifies operations and eliminates management of disparate infrastructure units. Data Protection with ShadowProtect: ShadowProtect allows you to recover data fast—anywhere, anytime. Downtime and data loss cost businesses revenue, productivity, customers, even reputation and brand equity. Protect your systems and data—and by extension your business—with ShadowProtect. Scale-Out Storage with OneXafe: Prepare for growth with a future-proof storage solution. Don’t wait for your data storage architecture to take you down or price you out. Prepare your business for the future by proactively moving to object-based, scale-out storage. OneXafe offers the features that efficiency-minded IT professionals seek. Ransomware Protection: Whether it's WannaCry or the next big outbreak, no business is ever really safe from malware. Protect your business with a disaster recovery plan that includes consistent backups that are checked regularly (StorageCraft ShadowProtect) and replication of these backups to an offsite source that malicious software can’t touch (StorageCraft Cloud Services). We can assist your business with all StorageCraft solutions! Request a call back by leaving your details and our local Brisbane-based experts will return your call within 3 business hours.